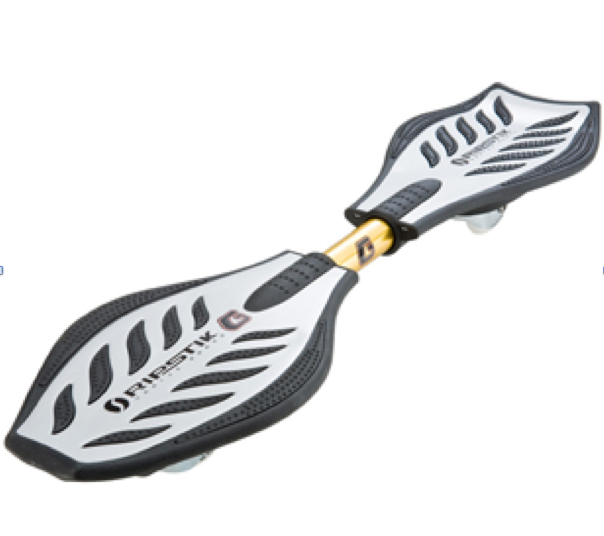 Ever tried riding the Ripstick? It’s not easy. Most people fall off straight away and struggle to get going at all. But when you watch someone cruising along on one, it looks like it should be easy. You just need to swivel those hips and glide along – simple?! Well, no. The thing is you need a critical level of momentum from the first push to allow you to get the motion going; anything less and you just fall off. Herein lies the problem: your instincts are telling you that if you push off too hard, you will hurt yourself, so you push tentatively, cautiously, timidly…… and, guess what…. you fall off right away. It isn’t enough. The only way to get going is to have a bit of self-belief, to risk the fall, to throw caution to the wind for a few moments and GO FOR IT!! Then, amazingly, thrillingly…. it works!! You are up and running. The swivel-hips get going and you are off. Take a look at this post about solving maths problems. This is solid Ripstick territory. What we need to do as teachers is fill our students with enough confidence so that they are unfraid and commit themselves fully to problem solving, taking full ownership of the problems; this is the route to success. If teachers project doubt and fear… the end product is inevitable. A good stimulus for an assembly – especially if you can find someone prepared to give a live demonstration. It’s a bit like first understanding how to ski. Simple, just let gravity take charge and see what happens!